High-strength, flexible-design ½" band with rolled edges to prevent hose chaffing or tearing. Will never need to be replaced due to corrosion. For 100% titanium it better say Titan on the Clamp! To purchase your hose clamp just click the "Click to Order" button below and then choose the quantity that you would like to buy. 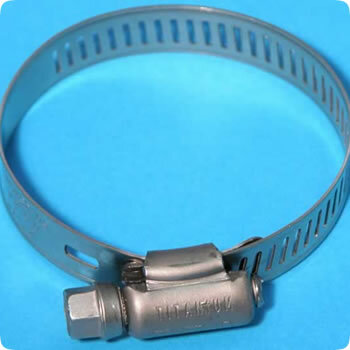 Also Choose From Our Hose Clamps Links Below!